Tech N9ne’s angel heart shines through in his role in the new movie Alleluia! The Devil’s Carnival. Tech N9ne has always repeatedly shown his versatility in the game by throwing his fan base creative curveballs, but his latest move is something nobody saw coming. 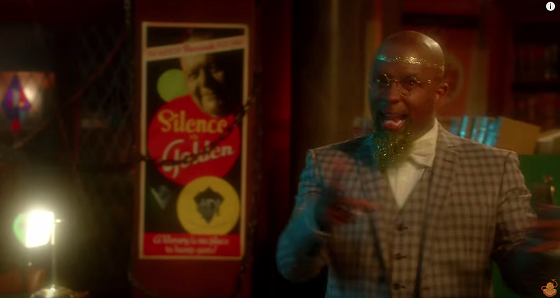 In the sequel to Darren Lynn Bousman and Terrance Zdunich’s equally horrifying and charming The Devil’s Carnival, Tech N9ne will take on the role of heaven’s librarian. Recently a brand new trailer for the film was released, featuring Tech N9ne’s musical contribution with Lyndon Smith and a few more quick glimpses of Tech’s acting abilities! Peep the trailer below and check out The Devil’s Carnival website for local showtimes! Are you excited to see Tech’s acting abilities?